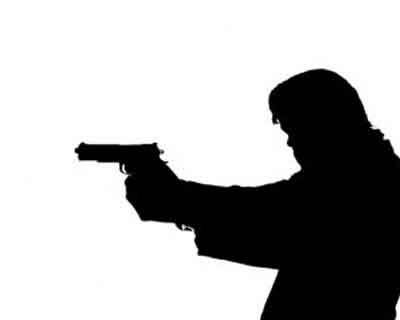 Shillong, Mar 11 (PTI) : A case has been registered against an MLA of the ruling Congress in Meghalaya after he allegedly held captive a government doctor at gun point in East Garo Hills district, a senior police official said today. A case has been registered against Sengnam N Marak, Rongjeng Mla and also Parliamentary Secretary, after an FIR was registered against him by the doctor at Williamnagar police station yesterday, the official said. The matter is under investigation and no arrest has been made so far, he said. The government doctor, Dr S M Bujabaruah, stated in the FIR that the Parliamentary Secretary in charge of Health and Family Welfare and his friend came to Rongjeng PWD Inspection Bungalow in East Garo Hills around midnight on March 5 where the doctor was held at gun point till 3.30 am. According to the doctor, the two were in an inebriated condition. The police official could not give any immediate reason behind the incident. The Parliamentary Secretary was booked under sections 342 (wrongful confinement), 353 (criminal force to deter public servant from discharge of his duty), 307 (attempt to murder), 506 (criminal intimidation) of the IPC, the official said. Attempts to contact the MLA failed as he could not be reached on his personal phone. When it comes to Dhule , sion Hospital in Mumbai In Maharashtra , the opinion column is Flooded with comments from all Directions. Unfortunately not a single word of Sympathy towards the Doctor , who was detained under Gun point by the sitting MLA of the Ruling Party. One is Gun master other one is a Fun master . When it comes to arrest they are Run masters. Catch and pack him to Thihar jail. None bailable warrant and arrest . No body is above the law including the so called lawmakers. Also catch hold of the absconding MLA of U P to give him a company.